School Of Lucian Fish Striped Snappers Underwater Amazing Seabed In Maldives. 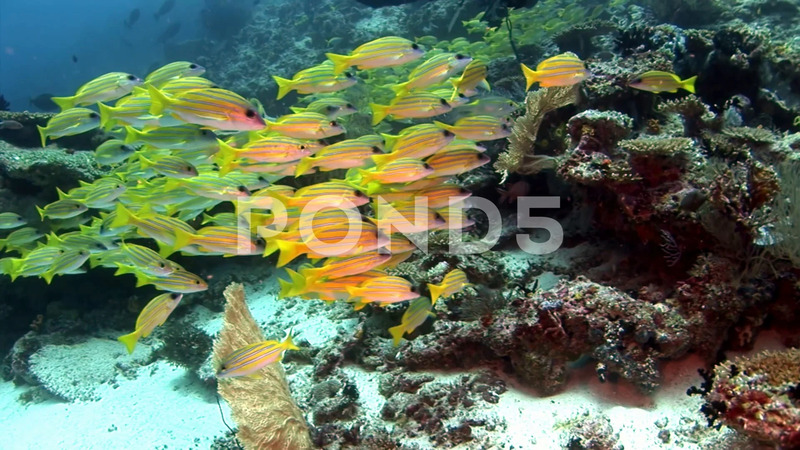 Description: School of Lucian fish striped snappers underwater amazing seabed in Maldives. Unique video footage. Abyssal relax diving. Natural aquarium of sea and ocean. Beautiful animals.